Despite holding a huge chunk of market share, Google's platform comes up short in one key area. Considering recent reports, Android is the most dominant mobile platform in the world, but you'd never know it, based on the attention (or lack thereof) paid to the gaming community. Thousands of users visit the Google Play store in search of the best titles, only to leave empty handed while iOS fans have new offerings to download. That said, here are five ways Android players get shafted. 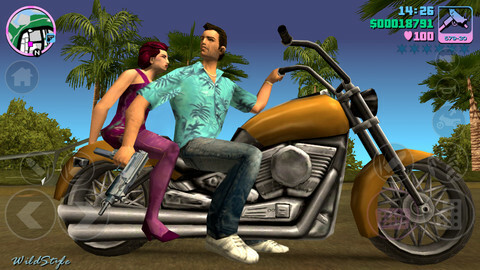 Vice City, where are you? Unless Angry Birds Star Wars creator Rovio Entertainment has a new game, simultaneous releases are almost non-existent. Just look at this week alone, as both Rockstar's Grand Theft Auto: Vice City and Gameloft's Modern Combat 4: Zero Hour failed to appear alongside the iOS counterparts, leaving players scratching their heads, but that's what makes these delays more frustrating. Publishers not only push back the Android launches, but fail to provide actual release dates until the games are almost available. The words coming soon and surprise couldn't be more apropos. iPhone and iPad games receive updates all the time. Android titles, not so much. As a result, players miss out on new levels, characters and necessary bug fixes. It's almost like developers leave the Android versions to languish. Let's face it, both iOS and Android are not considered equal. Most if not all Android titles also appear on the iOS App Store. Conversely, you can't play Chair Entertainment's iOS exclusive Infinity Blade 2 on an Android-powered device. If you own the original iPad and even the iPhone 3G/3GS, there's a good chance the newest games won't run that well, if at all, on those devices. At least on the positive side, this represents a handful of smartphones and tablets. Not the case with Android. Sure, Google Play identifies such-and-such a game as being compatible with your phone, but that doesn't mean it'll work properly. Then we have an untold number of handsets that can't run the games at all. We highly doubt this will change, as there are simply too many Android devices of varying capabilities to program for. Please correct us if we missed something, but the Google Play Store doesn't make finding the newest games an easy process. Sure, it displays Top Paid and Top Free, with options to categorize selections by genre, but good luck finding the latest releases. -Some developers, like Rovio and Madfinger Games, release updates and games on a more consistent basis. -Android fans are usually the first ones to play Kairosoft (think Game Dev Story) games. -Many Android titles debut for free, whereas iOS users have to pay.